A good source of dog breed information will help you pick the perfect pup for your home, family and lifestyle..... and that's hugely important because making the right choice is the first step towards ensuring a long and happy relationship between you and your new pup. There are a LOT of breeds to choose from, and lots of different families for them to love and it makes sense to do some research to get an idea of what your 'ideal dog' might be like..... before you bring him home. Given that there are over 400 officially recognized dog breeds in the world, finding the right one for you may seem a little daunting. But don't worry! Armed with the information on this page you'll be in a great position to decide which breed (or breeds) are the best fit for you, your family and your lifestyle - and that puts you way ahead of the game. Each breed was originally designed to produce dogs with a range of characteristics and traits which enabled them to do the 'job' they were expected to. This job may be a real job, as in herding, guarding, retrieving, hunting etc. Or it could be a 'role' such as lapdog or companion. With purebred pups who come from parents who are good representatives of their breed you can get a fairly accurate picture of what type of traits and instincts he will have, what coat type and color, as well as what size he will be as an adult. But it's worth remembering that no two puppies are alike, even those from the same purebred parents. 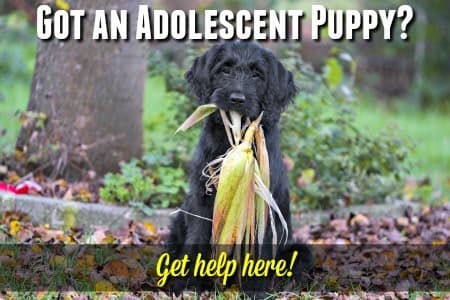 Your pup is a unique individual who will come with his own personality, likes, dislikes, activity level, social abilities and so on. He will have many breed specific traits, but he will not necessarily 'fit the mold' exactly, or be like the last dog of that breed you owned. Of course, just about any breed can make excellent pets and there's a perfect 'fit' for every single one of them but getting the right information about the traits and characteristics of any dog breed you're considering is very important. I'm going to take the AKC (American Kennel Club)designated categories to use here as this is the largest, and most easily recognized, dog registration organization in the US. Each breed is assigned to a specific category depending on it's original purpose. These groups are pretty much self-explanatory, but it's not always easy to figure out which group a particular breed belongs to. For example the Italian Greyhound and the Shih Tzu are both members of the Toy Group but are complete opposites as far as appearance, personality and purpose are concerned. Overall, each dog breed within a group will have some characteristics in common - although remember, dogs are as individual as people are. In addition, below the details for each group, you'll find a link to more information and a full breed list. This group is full of active breeds, they're the ones that are itching to go hunting/fishing/hiking with their owners. Many of them love being in the water and are good swimmers. Overall they're an energetic bunch, but usually happy, friendly, outgoing and eager to please - which makes them very trainable. Occasionally they may be a bit over-energetic and highly strung though. Sporting dogs need a LOT of exercise, and are happiest when they're included in regular activities with their owner and family. They also tend to be 'mouthy', are avid chewers and can be very nippy as puppies. Some have a high prey drive which means they're inclined to chase smaller dogs or small animals, occasionally even little children. 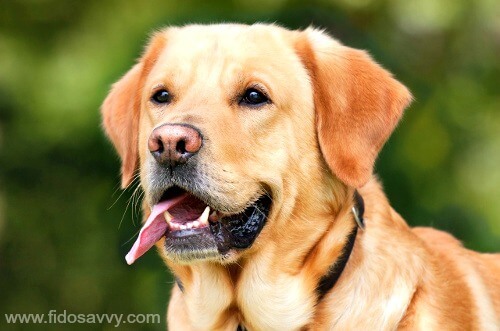 Various types of Pointers, Retrievers, Spaniels and the ever-popular and #1 family dog the Labrador Retriever (and the Golden Retriever too for that matter) are all in this group. Hound dogs are basically hunting dogs. This group is that it's divided into two distinct categories ... Sighthounds and Scenthounds. Sighthounds are possibly one of the very earliest breeds, and use their very keen sense of sight and their speed and athleticism to hunt their prey. These are usually slender, long-legged, elegant dogs and if you're not sure what a sighthound might look like, think of a Greyhound or an Afghan Hound. Scenthounds use their highly developed sense of smell to locate and track their prey. When they find and corner whatever animal it is they're hunting they let their owners know about their success by 'baying'. This is a unique sound, not barking or howling, but once heard you won't forget it. Even a Beagle or Basset Hound who has never hunted a rabbit in his life is perfectly capable of making this noise, so bear that in mind. Scenthounds look quite different to sighthounds. Overall the dog breeds in this group are generally are energetic, happy, and loving bunch who get along well with people, children and other pets. Both varieties are very single-minded if they decide to follow or chase prey and as pets they need to be leashed when out walking and only allowed to be alone in a yard if it's very well fenced and secure. An interesting bit of dog breed information specific to this diverse group is that not all breeds that were specifically bred to work are included in this group! This is because herding is considered 'work', but herding dogs have their own specific category, as do hunting dogs (see Hound group above). As far as the AKC is concerned, working breeds include dogs bred as guardians, rescuers and weight-pullers. Guardian breeds may have originally been designed to protect people, livestock or property - sometimes all three - and many of them are very old breeds, or can trace their ancestry back to these ancient dogs. The most well-known guardian breed is probably the Rottweiler, followed by the Doberman Pinscher. These types of dogs are often misunderstood in general, and misrepresented by the media. Well-bred Rotties and Dobies can make excellent family pets, they're loving, devoted, intelligent, surprisingly sensitive, and loyal... and very easy to train. They're usually big dogs, but usually not high-energy when adult and are confident and friendly. They do have strong guardian instincts though and will protect their home and family with their life if necessary. A strong guardian breed isn't a great choice for first time dog owner because they need a confident leader who won't be afraid of their 'reputation', but who also understands that they need gentle, loving handling not loud, physical or rough treatment. Something worth remembering is that along with big dogs come big expenses because they need the X-Large size of everything! Bernese Mountain Dog, Newfoundland, Saint Bernard, Siberian Husky Alaskan Malamute, Great Pyrenees, Kuvasz, Cane Corso, Boxer, Bullmastiff and Dogue de Bordeaux. In my experience, 'Terrier' is more a state of mind than it is a size! Bull-and-terrier breeds who were originally a result of breeding bulldogs and terriers together and used for bull-baiting and fighting. These dogs are often on the smaller end of the size scale, but they're feisty live-wires who tend to be on-the-go at all times. Terriers bred to hunt and kill have a tendency to be determined, stubborn and willful and they naturally have a high prey-drive which means they may not don't do well with cats, other dogs or even small children. 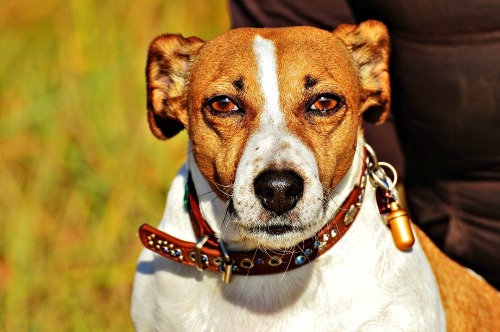 These include breeds such as the Russell Terrier (and the Parsons Russell Terrier), the Border Terrier, the Cairn Terrier and the Fox Terriers. Even the smallest terrier has the heart of a lion (and thinks he's about as big as one too). They're basically fearless and will take on the biggest dog in the park without a second thought. The adorable Yorkshire Terrier fits this profile perfectly! The bull-and-terrier breeds tend to be calmer and more laid-back, although they can still be stubborn when they want to be. This is another breed group that is often misunderstood and misrepresented, and includes the Bull Terrier, the Staffordshire Bull Terrier and the American Staffordshire Terrier (aka AmStaff). Many of the 'traditional' terriers have wiry coats and docked tails. These coats often need to be professionally trimmed or 'stripped' regularly to keep them in good condition, but they tend to shed less than many other types of hair. The bull terriers have short, smooth coats which just need brushing, but are more inclined to shed. The dog breeds in this group were generally designed to be companions, although some of them were originally bred for a particular job that is now obsolete. They're small dogs, but not all small dogs are in the 'Toy' category. Although these little ones may be small on size, they're usually BIG on personality and are much tougher than they look. Some toy dogs are just smaller versions of a larger (or standard-size) breed, such as the Poodle and the Greyhound. Usually these little ones make great lapdogs, are devoted companions and a good choice for people with limited space, or mobility, but they're not always docile or laid-back! This breed group includes some terriers such as the Fox Terrier, the Manchester Terrier and the popular Yorkshire Terrier, plus spaniels including the Cavalier King Charles Spaniel and the English Toy Spaniel and more 'exotic' breeds like the Shih Tzu, Pekingese, Havanese, Brussels Griffon and the Chihuahua (to mention just a few). This might be the most diverse breed group of all, and includes dogs of all shapes, sizes and personalities! This breed group is a collection of dogs who might be workers or sporting dogs but who don't fit fill the traditional roles of guardian or herding dog. It also includes dogs bred as companions, or whose original 'job' no longer exists. The Lundehund was originally bred to hunt Puffin in Norway and the Dalmation who's best known for being the 'fireman's dog' following along (or even riding on) the old-style fire engines are included in this group. Other non-sporting dog breeds have an unusual history too. The American Eskimo dog was once popular in the circus, the distinctive Chinese Shar-Pei was a farm dog and guardain with an exotic twist as their Chinese owners believed that this breeds' frown-wrinkles and black mouth pigment would scare off evil spirits! Among the smaller group members is the Tibetan Spaniel whose appearance was carefully shaped by Tibetan Buddhists to resemble the revered lions or 'Foo Dogs' in Buddhist culture. 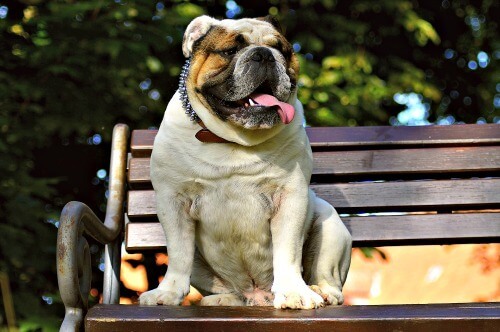 But not all non-sporting breeds are unusual or rare, this group contains some very popular and well-known breeds including the Poodle, the English Bulldog, the French Bulldog and the Boston Terrier. Because this group is made up of such different dogs, there isn't really any way to define them in terms of outward appearance or internal traits. This is one of the more recent classifications added to the AKC's list, and it's a pretty easy group to sum up... these are all working dogs who herd livestock of some description! 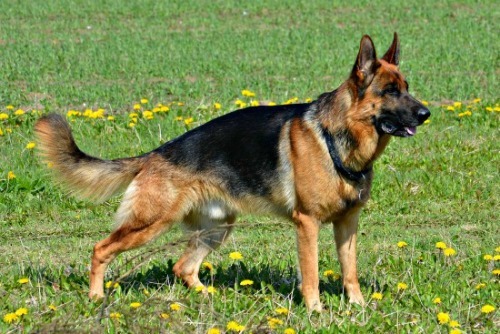 The majority of these dog breeds are medium to large-sized dogs, with thick or long coats, but there are exceptions to both of these 'rules'. For example, the Corgi is a very short-legged breed and the Australian Cattle Dog has a relatively short coat in comparison to the others. As a whole herding dogs are very active and intelligent because both of these traits were absolutely essential if they're to learn the job that they were bred to do. They are quick witted, eager to please and extremely energetic. They can also be highly-strung, very nippy and absolutely NEED to have a job to do or a lot of physical activity on a daily basis. You don't have to live on a farm to keep a herder happy though as there are lots of other activities that you can participate in with your dog. Dog agility, formal obedience and flyball are just a few of the structured options, and long hikes, camping or jogging are good alternatives if you don't want to join group activities. These breeds can become anxious, compulsive and destructive if they get bored or aren't stimulated or exercised enough. Don't buy a Border Collie pup and expect him to be happy lying around at home, or shut in the back yard by himself. This is a recipe for disaster. Due to their very 'mouthy' natures (a natural by-product of being herders who often guide the livestock by nipping at their heels or flanks), they can also be a handful around little children and enjoy herding them as well! Some very popular breeds are in this group including the German Shepherd Dog, the Australian Sheepdog (aka the Aussie), the Shetland Sheepdog and the Old English Sheepdog. This is an interesting group of breeds, and is purely an AKC category, it doesn't mean the dogs in it don't have individual and specific jobs, skills or history. It's basically a temporary classification for breeds that are relatively new and who are showing promise in terms of popularity, solid breeding activity, nationwide recognition and staunch supporters and official breed organizations. Some dog breeds that are currently in this group include (but are not limited to) the Azawakh, Dogo Argentino, Peruvian Inca Orchid and the Pumi. Of course, again because this group contains a 'mixed-bag' of breeds of entirely different looks, personalities and breed-specific characteristics there is no way to sum them up en-masse. If you're not especially concerned with whether or not your new puppy has 'papers' and if you don't have your heart set on a specific look, then a a mixed-breed dog could be the perfect choice. It can be a bit more difficult to estimate the adult size, temperament and looks of a puppy with a mixed heritage, so even if you know exactly how Fido's parents looked, you don't know what their parents looked like! Mixed breed dogs tend to be healthier overall than the average purebred. They may also live longer than purebred dogs of the same general size. This is mostly due to the fact that the dogs within each individual dog breed are descended from the same ancestors - and a fair amount of inbreeding was usually involved. They also are often less 'temperamental' due to having a more balanced set of characteristics and traits. However there are good reasons for finding out what breeds are in your mixed-breed's family tree because hereditary health conditions, activity level, prey drive, herding instinct and all sorts of breed-specific traits and behavior are 'hard-wired' based on his heritage. It's actually pretty easy to get a closer-look at your new addition's genetic makeup by using one of the simple, at-home dog dna tests. You can get also information on the different ways you can estimate the eventual size of your puppy on my Puppy Weight Estimates page. Although not strictly 'mixed breed' dogs, the newer Designer Dog Breeds are becoming more and more popular. They often have the health advantages of mixed breeds, but due to being a mix of two purebred dogs you have more information on their heritage and they're a little more predictable in terms of size/character traits (at least in the first-generation pups). When it comes to 'smarts', there are three separate things to consider... instincts, adaptability and obedience/trainability. 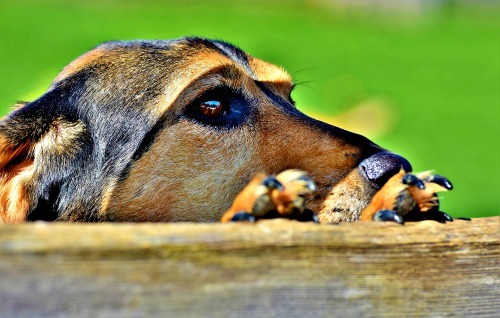 You can learn more about this here... Smartest Dog Breeds. The list below includes those who have breed-specific intelligence, making them clever... but some may also be strong-willed or a little stubborn (eg Airedale Terriers) which might them more difficult to train than others. The most trainable, and obedient, dogs are those who were specifically bred to work for, and with, their human owners. That means that working breeds of all types (herding, hunting, retrieving etc.) fill this category. But there is one exception. Many northern breeds (eg Huskies, Malamutes etc) and livestock guardians (eg Great Pyrenees, Anatolian Shepherd etc) are independent by necessity. So although these breeds are smart, and trainable, it may take more patience and time than it would to train, for example, a Border Collie. As with most traits, there are different kinds of 'friendly'! Some breeds are great with people, but can be wary of other dogs or have a strong prey-drive which can make them unsuitable for families with other small pets (Greyounds for example). Others may be generally dog-and-pet friendly, but may be aloof or self-contained around strangers (guardian breeds such as the Rottweiler is one of these). Of course all dogs are full of energy when they're puppies, but some breeds maintain this zest for an active lifestyle indefinitely. Working breeds such as herding, protection and hunting dogs NEED not only exercise, but a job to do which challenges them both mentally and physically. Bear in mind that big dogs aren't necessarily going to need more exercise than smaller ones. Mastiffs, for example, are low energy adults whereas small Jack Russell Terriers are like the energizer bunny for their entire lives. Every dog needs exercise to stay happy and healthy. Some just need more (or more vigorous) activity than others! All dogs need some degree of grooming (even hairless dog breeds need bathing and skin care), but some need more than others. Above-average grooming requirements could mean daily brushing/combing, or it could mean regular trips to the dog groomer for a hair-cut/trim.... or both. Some breeds were intentionally designed to work alone, or to need less human interaction/supervision than others. Livestock guardians (not herding breeds such as Collies) and northern breeds feature heavily in this category. Although these breeds can still make excellent family pets, they are likely to be more aloof, may wander (if not kept safely contained in your home and yard), and can be a little stubborn and strong willed. Some breeds are social and friendly by nature, and love everyone they meet. They're usually not working dogs, but bred to be family pets and these traits can make them among the easiest to get along with - and the least challenging to raise. Of course, as mentioned earlier on this page, every single pup of any breed is a unique individual, and every litter has a range of personalities including some pups who 'break the mold'. There's no such thing as a silent dog I'm afraid but, as with every other trait, some breeds are noisier (or more vocal) than others. Breeds such as the Basenji may yodel rather than bark, some breeds howl more than others (hounds for example) and some 'talk' (grumbling, grunting, whining and basically making odd noises). Some tiny breeds are very yappy and love to bark. Here are a few of the dog breeds who are generally like to hear the sound of their own voices. There are some breeds which do best when they live with an experienced owner who knows the right way to be the 'alpha' in the relationship. This does NOT mean that these dogs are aggressive, don't make good pets or are dangerous. It simply means that they can be stubborn, strong-willed and challenging at times. They're generally large, strong dogs too. A few of them tend to be very territorial or protective and may show dog-to-dog aggression (or even become suspicious and unpredictable around humans they don't know) if not properly and adequately trained and socialized. If you are experienced with raising puppies and taking care of dogs, and are confident that you can provide the loving discipline, structure, training, socialization and exercise that these breeds need then they can make excellent companions. 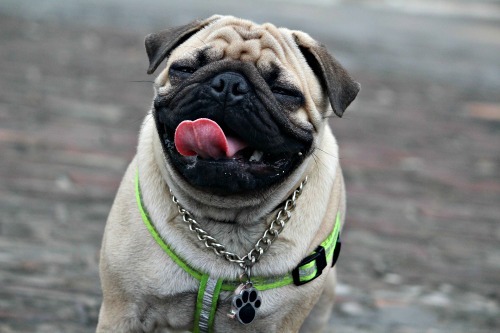 Some breeds are better suited to apartment living due to their temperament, size or energy levels. Just because a breed isn't on the list below that doesn't necessarily mean that it couldn't live happily in an apartment. Individual personality and family dynamics, available owner time and exercise potential also factor in. However, generally very large dogs aren't the best choice due to the sheer amount of space they take up as well as the fact that their bones/ligaments can be over-stressed by a lot of stairs (and they're not exactly portable!). In addition, active or working breeds (such as Border Collies, Australian Shepherds, Belgian Malinois and hunting dogs) can be too active to do well within confined spaces and without a yard to run freely in. Kids and dogs are a great combination, but not all breeds make good pets for families with children. The ages of your children, and the activity level and lifestyle of your family are also important as some breeds do great with older children but are not such a good fit for younger ones. Below is a list of the breeds who have consistently proven themselves to be the most family/child friendly overall. However there are TONS more to choose from depending on your individual family. For a detailed look at why these breeds are good choices (and to see which ones are best with specific age groups and so on) check out these pages... Best Dog Breeds for Children and Best Dog Breeds for Families. I love big dogs :) They make awesome pets and companions and are often much lower energy than you would think. Of course, they take up a lot of space and need the XL size of everything (so are more expensive to own than smaller breeds) and they can also be more fragile, health-wise, than expected. Some are guarding, hunting, working breeds and aren't recommended for novice dog owners, or those who are frail or families with very young children. But as always, each pup/dog and each family is a unique proposition and exceptions are sometimes the rule. If you think you could be the right family for one of these gentle giants (or even the not-so-gentle ones), take a look at this list, then check out this page - Owning Extra Large Breed Dogs - to find out everything you need to know. The little guys have their own set of pro and cons too. Some small breeds were bred to be companions, others were bred to work (often terriers or scent hounds to hunt/catch vermin). Although they often look like adorable soft toys, many tiny breeds have huge personalities and can be stubborn, willful and loud. But they can also be loving, funny, energetic and affectionate. Very little dogs are generally not a good choice for families with young children as these breeds are delicate and easily injured, but some not-so-tiny ones are hardy and strong, and fit in well with most families. Some breeds are termed 'hypoallergenic' because they are much less likely to cause symptoms in people who are reactive to pet hair. BUT there is no such thing as an allergy-free breed because dander (dead skin cells) and saliva can also trigger allergic reactions (so big-time droolers aren't a good choice). 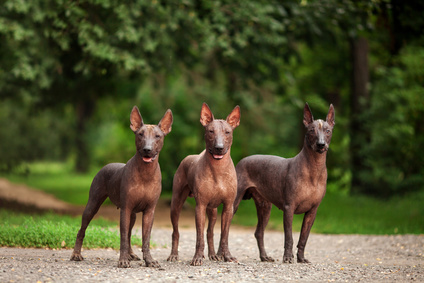 A few of these dog breeds are actually hairless, others have low-shedding coats (silky, wiry or curly coats often fit this bill). Tiny dogs have a smaller body area and therefore shed less hair and dander than larger ones do. Although this doesn't make them low-allergy breeds, it's useful to know. However, if you or a family member suffer from allergies but want to own a dog, one of these breeds may work for you. It is important to be around them before purchasing first, that way you'll know if it is a good idea or not. There are just so many dog breeds worldwide that there are bound to be many that you've never heard of... and there are some that even dyed-in-the-wool dog enthusiasts have never heard of either! These breeds may, or may not, be a good choice for you but if you have a taste for the unusual it doesn't hurt to do some research. Pay attention to the nature, temperament and needs of these breeds and be prepared for the purchase price of a well-bred pup or adult to be high. There are other disadvantages to owing a rare breed. 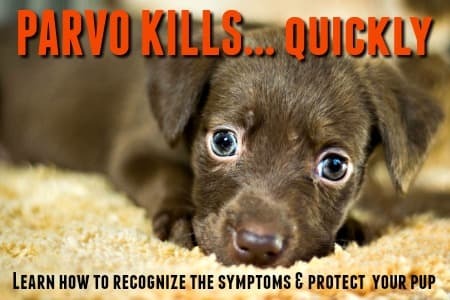 These might include getting the right vet care (your vet may well never have come across another individual of your chosen breed), your pup/dog may have to travel a long way to get to you (and this causes stress to your new companion) and so on. So, do give the thought of owning a rare breed dog a lot of thought, research and preparation before deciding to go for it! Here are just some of the rare dog breeds around the world. There are sure to be more! You shouldn't have to give up dog ownership just because you're getting older... but some breeds can be just too much for seniors to handle for a variety of reasons. The best dogs for seniors are on the small to small/medium end of the size spectrum, have a low to moderate activity level and are friendly and trainable. If possible, low maintenance and minimal genetic health issues are good too. Long haired breeds need regular grooming or trimming, as do many terriers. Some may have back issues (especially long-bodied dogs such as Dachshunds), and many small/toy breeds suffer from knee problems. Do make sure to check out the specific needs/requirements of any breed you're interested in, that way you know what to expect. Obviously there's no way to guarantee how long any individual dog will live, but with purebred dogs you can get an idea of the average lifespan. In general the smaller the breed the longer the potential lifespan. Tiny dogs can routinely live for 12 - 15 years, or more. Large and giant breeds may only expect 6 - 9 years, or less. Medium sized dogs fall somewhere in the middle. Here's a look at some of the dog breeds who can reasonably be expected to live for 12 years or more (barring injury, accident or chronic illness). The number in brackets is the average number of years for each breed shown. The oldest dogs on record are a sheepdog from Australia and a Labrador mix from the UK who both lived to the grand old age of 29. The oldest Chihuahua and Toy Poodle on record lived to be 20 years old. The oldest Beagle recorded reached a remarkable 27th birthday. According to vet statistics, dogs under 20lbs at maturity average 11+ years of life. Those who weigh over 90lbs average about 8+ years. A handful of large/r breeds outlive their counterparts, including the northern breeds such as the Husky, Samoyed, Chow and Alaskan Malamute, as well as the Doberman Pinscher and the Anatolian Shepherd. The oldest dog on record may just be Maggie (an Australian Kelpie) who passed away in April 2016 at the ripe old age of 30 years. This may never be 'official' as her her registration papers were misplaced years ago (I mean, how many of us keep paperwork for 30 years!) so Maggie's age can't be officially sanctioned. However, her owner's word is good enough for me. Way to go Maggie! * It also looks as though Australian breeds may have a little something extra in the longevity dept. Personally I love books, and reading, but even if you're not the same way having a good reference book for any subject you're interested in is always a great investment. These books have the added benefit of containing some beautiful photographs of the huge variety of dog breeds as well as being chock-a-block full of useful dog breed information and facts! Love-Springer-Spaniels.com - An online guide and community dedicated to English and Welsh Springer Spaniels, tips and advice on choosing, feeding, training and grooming Springer Spaniels to name just a few items we cover. About-Cocker-Spaniels.com - the best free online guide to caring for Cocker Spaniel puppies and dogs. Lots more practical tips and helpful advice on how to look after your Cocker Spaniel; from his puppy days right through to adulthood. No matter what you're searching for, you'll probably find it here. 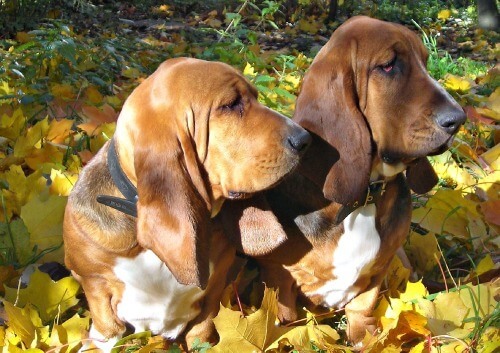 The-Hunting-Dog.com - This website is devoted to hunting dogs of all shapes and sizes. There's tons of information and advice on choosing and caring for one of these intelligent, versatile and all-round incredible dogs. 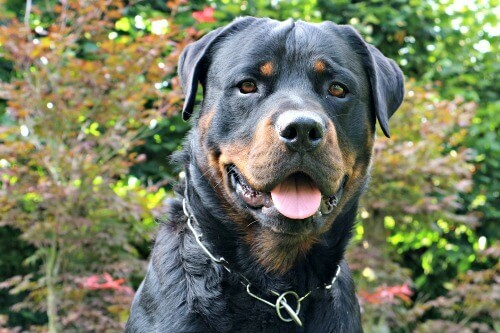 A Love Of Rottweilers - A complete guide to Rottweilers. All the tips, advice and information owners need to take care of the incredible Rottweiler dog. Includes history, temperament, puppy care, training and lots more. Spanielking.com - comprehensive information on the Cavalier King Charles Spaniel and the perfect resource for new owners of this lively and loving breed.